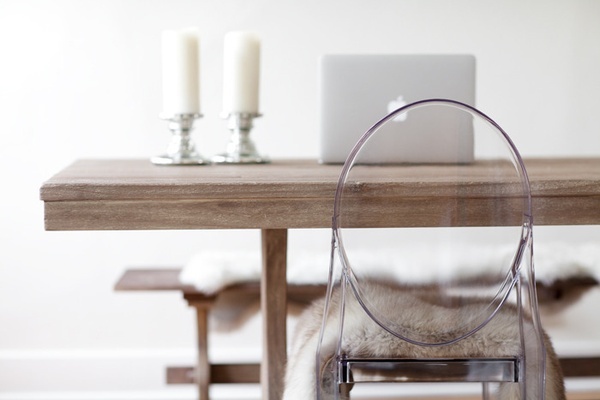 The iconic ghost chair has been a longtime favourite of mine and more and more I see lucite furniture pieces popping up around the space. 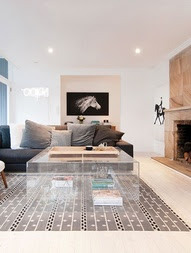 Apart from being more contemporary their transparency makes them take up less visual space and perfect. 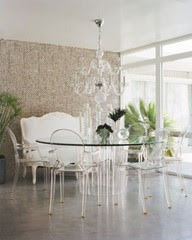 Lucite furniture can be paired with both traditional and more modern pieces and is incredibly transitional.